$12,000 in upgrades last year! New carpet, paint, and washer/dryer. Walk to the Peru Express lift and ski school from this exceptional property for the discriminating visitor. 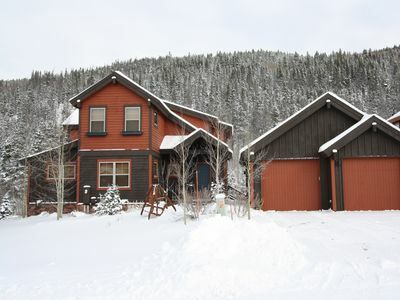 Decorated with Kincaid art, and with a KING bed in the master bedroom, our vacation home at Tenderfoot Lodge is right at the foot of Keystone Mountain, 400 yards from the 'Peru Express' chairlift. 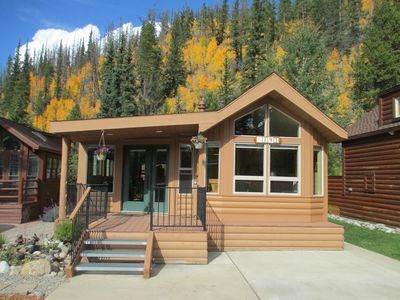 And in summer, the bike path between River Run and The Village passes in front of the lodge, making this an ideal base from which to enjoy your Summit County winter or summer vacation. There are 3 large bedrooms, the master has a king bed and each of the other two bedrooms has a queen AND a twin bed, so 8 people can sleep in beds. There are 2 full bathrooms with jetted tubs. Please note, in order to keep this unit in exceptional condition, we do not allow dogs or smoking. 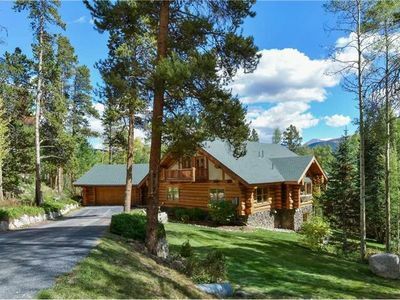 This condominium was built in 1997, and is the largest in Tenderfoot, at over 1600 square feet. 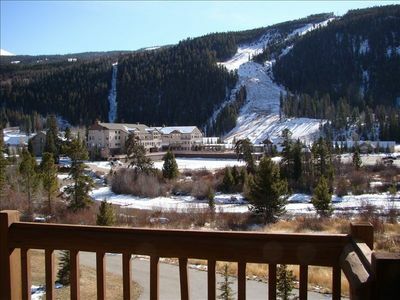 Views from the two private south-facing balconies overlook the lower slopes of Keystone Mountain, the Snake River, and Buffalo Mountain to the west. 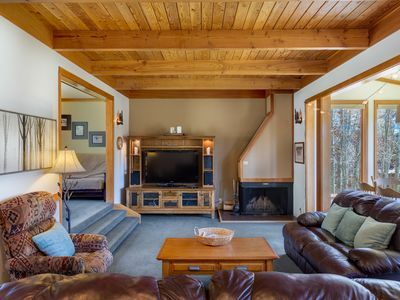 From the living room and the kitchen the view is South-west over the Snake River to Buffalo Mountain, and the central courtyard of the complex and its two large outdoor hot-tubs. The furnishings are in keeping with the mountain west style of the complex. 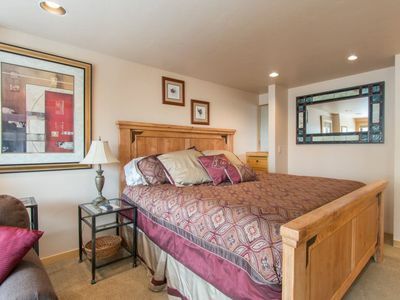 The master bedroom features a king-size bed, and has its own full bathroom attached. The bath is a jacuzzi. The other two bedrooms share a second full bathroom - also with a jacuzzi tub. 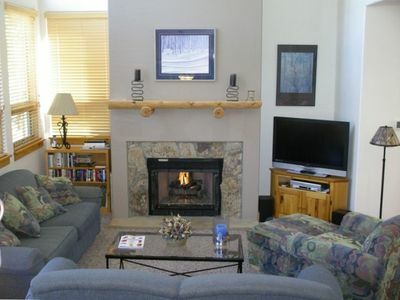 The living room has a large screen smart TV, a VCR, DVD and CD player. The dining table seats six; and the full-length bar has seating for an additional four. There is a gas log fire in the living room. The rest of the unit is heated by centrally piped hot water radiators. Humidifiers are also provided. The condo has its own laundry closet containing a new in 2014 washer and dryer, so you can always have warm dry skiwear, irrespective of how many times you fall in the snow! 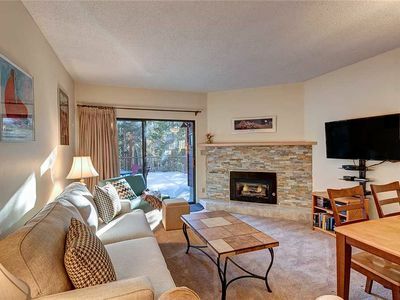 There is a heated underground parking garage, (free of charge) and elevators take you directly up from the garage. The condominium is on the third floor - which enhances the views. 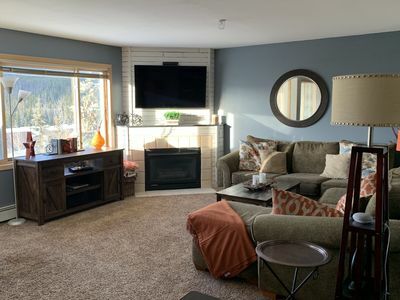 In addition to the outdoor hot tubs and barbecue area, the lodge itself features a very large community lounge with an ultra-large TV and various games. 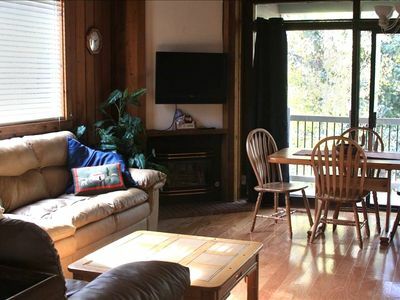 Free high speed internet with both ethernet outlet in the condo and wifi throughout the complex is provided. 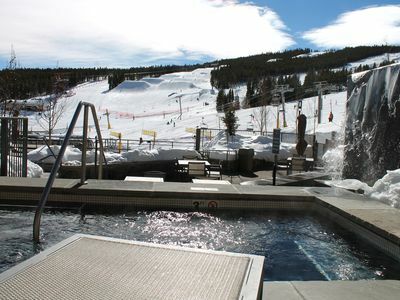 There are many restaurants within one-half mile of the condominium; and the resort's frequent free shuttle buses can take you the mile to Keystone Village or River Run, as well as Silverthorne, Dillon, Frisco or Breckenridge. 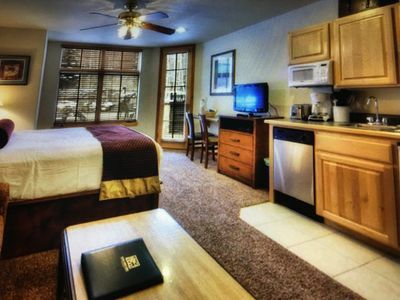 We know you will enjoy our 'home away from home' at Keystone. In the last year, 80% of our guests were repeats. Our weekly rates are about 50% of commercial operators. Please note that in order to maintain this unit in pristine condition, first time guests will be required to provide a refundable security deposit. Please call or send an email to learn more. 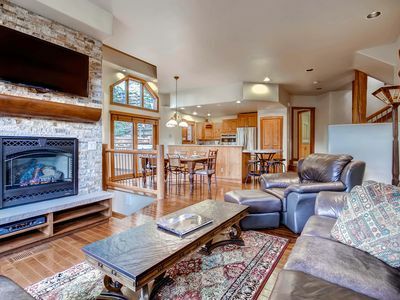 Once you have stayed at Tenderfoot, you will be back!